The annual U.S. News college rankings are based on a variety of data, much of which is related to the financial resources and selectivity of each institution. The use of academic reputation alone to determine quality is often derided as being too subjective, yet students repeatedly list academic reputation as the most important factor in their choice of a college. In the 2015 U.S. News rankings, most leading public universities enjoy a reputation that is significantly higher than their overall rankings. 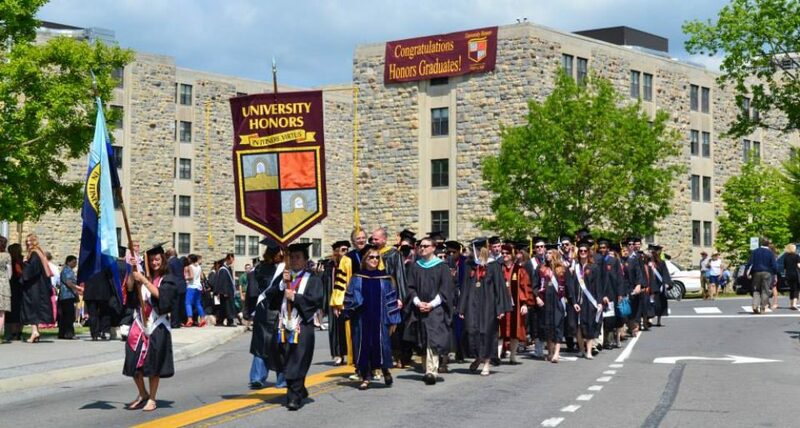 Based on academic reputation alone, public universities occupy 25 of the top 50 positions; but U.S. News only lists 16 public universities as being among the top 50. There are discrepancies between the rank and reputation of private elites as well, but for the most part they are minor. A lost of the top 50 by reputation only is below. The companion post is The Academic Reputation Ranking in U.S. News: What It Means for Honors Students. These results can be viewed in at least two ways. One, we might conclude that many public university reputations are inflated relative to what they actually offer. Some of this inflation may be based on giving too much weight to academic research. Or two, we might contend that the overall U.S. News criteria are at fault in over-emphasizing selectivity, class size, faculty salaries, endowments, and alumni giving. UT Austin’s retention and graduation rates are also lower than they otherwise would as a result of the top ten percent admission rule that permits entry to a sizable number of students whose test scores are below the median. We do not see a way that U.S. News could adjust for this factor. Other public universities (e.g., Ohio State, Texas A&M, Michigan State) that operate under state mandates that either require unusually large enrollments and/or admission based on class rank alone will continue to be ranked lower than they otherwise might be. We also believe the University of Maryland, Purdue, Texas A&M, Indiana, and Minnesota are sharply penalized in the U.S. News rankings, given their strong academic reputations. and relatively high retention and graduation rates. It is also true that the economic resources of the typical public university student are not as strong as those of a typical student in one of the highly-ranked private institutions, and this fact also contributes to lower graduation rates–not just size alone. Although there might be a way to adjust for this factor, it is unlikely that U.S. News will do so, partly because of the different levels of financial aid offered by universities. The discrepancies between reputation and rank are more puzzling in the cases of UC Berkeley and Michigan. UC Berkeley ranks 6th in academic reputation, but 20th in the rankings; Michigan is 11th in academic reputation but 28th in the rankings. The former has a freshman retention rate of 97 percent and a graduation rate of 91 percent, both high, especially considering the large number of STEM students at Berkeley, with an undergraduate enrollment of more than 25,000. Michigan has a freshman retention rate of 96 percent and a grad rate of 90 percent, on a campus with more than 27,000 undergraduates. In at least some instances, we believe that the U.S. News practice of using both financial resources per student and class size is a “double whammy” for public universities. In addition, we believe that the rankings should allow strong retention and graduation rates to offset the effects of larger class size. Finally, universities with a high percentage of STEM students should have an offset factor for their lower graduation rates. Such an adjustment would improve the rankings of some public and private universities (e.g.,Georgia Tech, Purdue, MIT, Caltech, Johns Hopkins, Cornell, Carnegie Mellon). Below is the list of the top 50 national universities by academic reputation, showing their academic reputation rank first, followed by their overall rank by U.S. News and by their retention/graduation rates. An asterisk denotes that a university is ranked higher overall than its academic reputation rank. The reader can then judge whether the magazine rankings are a sufficient reason to choose a school with a relatively lower reputation. This entry was posted in National Rankings, Uncategorized and tagged academic reputation versus rankings, colleges with best academic reputation, U.S. News academic reputation national universities, U.S. News Best Colleges by Honorsadmin. Bookmark the permalink.